This symbiotic extension to an existing home provided all the extra space the client needed – a new living room, bedroom and garage for a collection of classic cars – as well as a palpable connection to the garden. 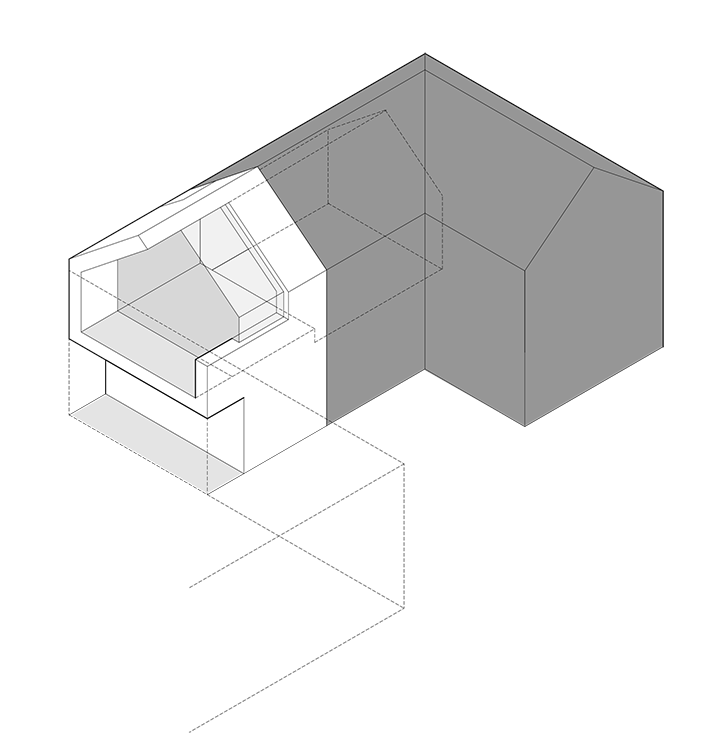 The glazing and cantilevered zinc-clad shell roof allow light deep into the living space from the south-west. The overheating risk in summer is prevented by existing tree foliage; when the leaves drop, the lower winter sun warms the house passively. The project is constructed primarily from sustainably sourced timber and clad in recycled zinc. Zinc uses the least amount of ores out of all non-ferrous metal cladding solution – 1/4 that of aluminium and 1/2 that of copper and steel. Additionally, zinc requires low levels of maintenance during its life cycle and is a self finish material that ages with beauty, omitting the need for continuous redecoration. 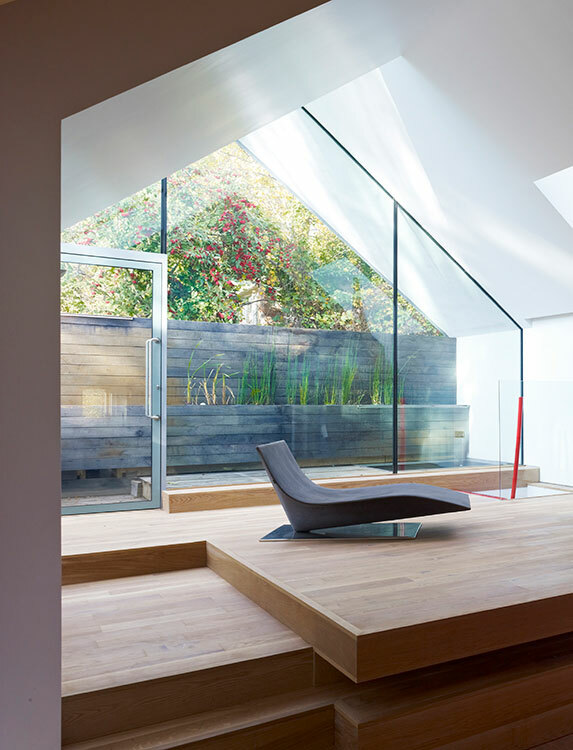 The pitched roof is cut and folded to create a tension between the cantilever and glazing, allowing south sunlight to penetrate deep into the house. The self-finish zinc cladding both reflects and contrasts with the surrounding trees. The addition extends the existing living area at first floor; glazing visually connects it to the landscape beyond an adjacent retaining wall. This new living space is linked to a studio/guest room below, via a 1m2 bold red stair.